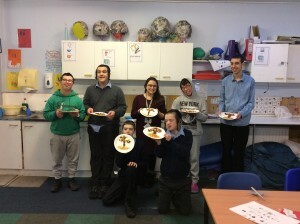 Purple Class created their own trees – on paper plates for Tu b’Shvat. 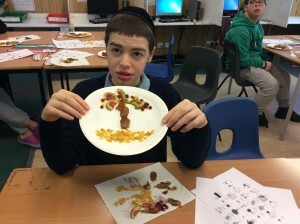 The trees were cleverly crafted using some of the shivat haminim, the seven fruits of Israel: dates, grapes, figs, pomegranates, olives, barley and wheat. 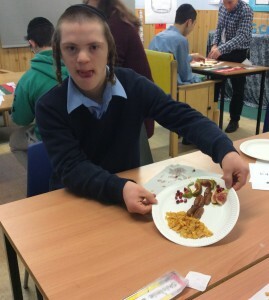 The class was shown how to check dates for bugs and learnt Tu b’Shvat songs.